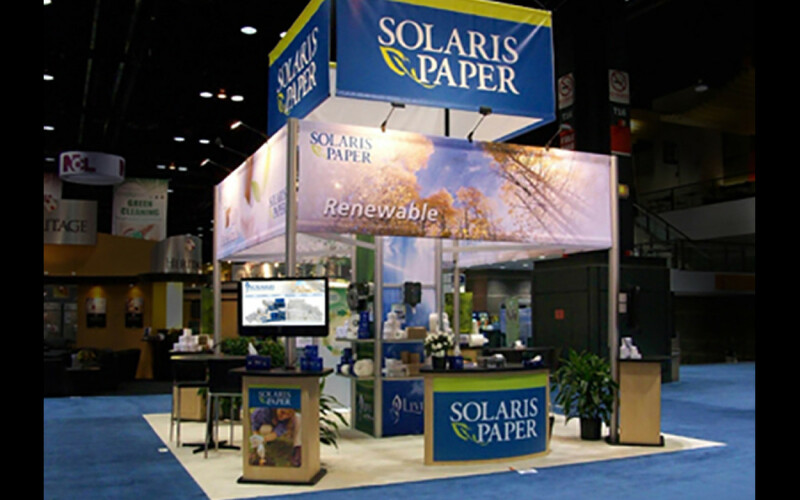 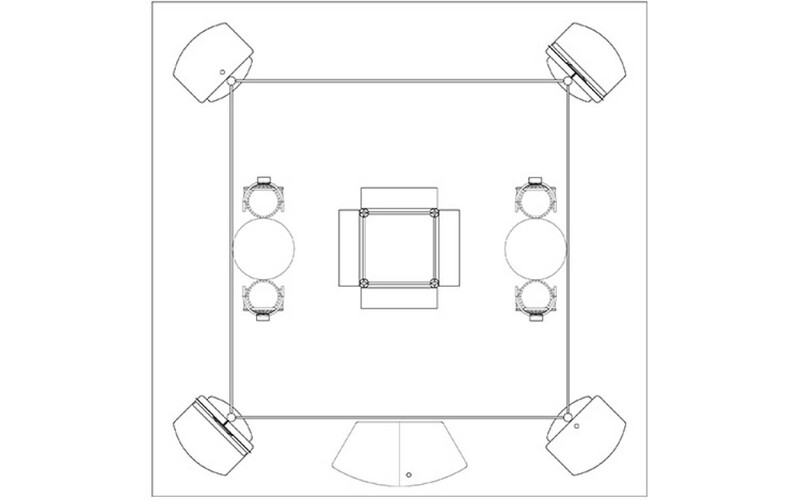 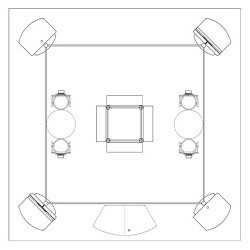 This 20’ x 20’ exhibit is a great example of a custom rental. 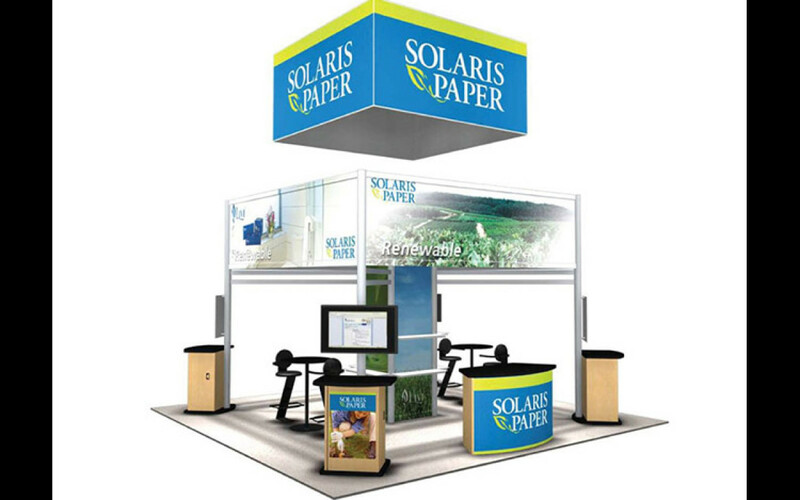 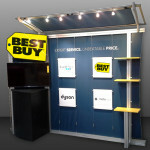 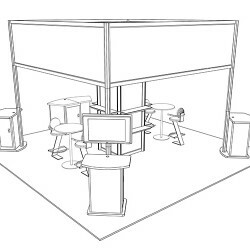 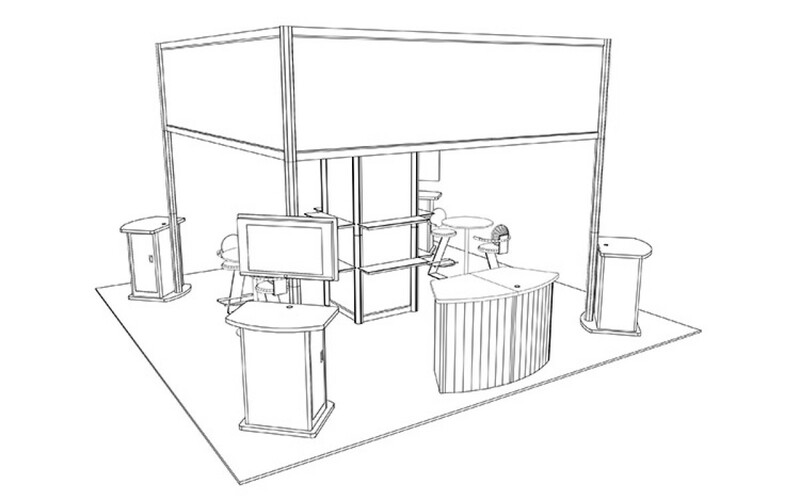 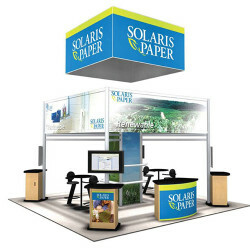 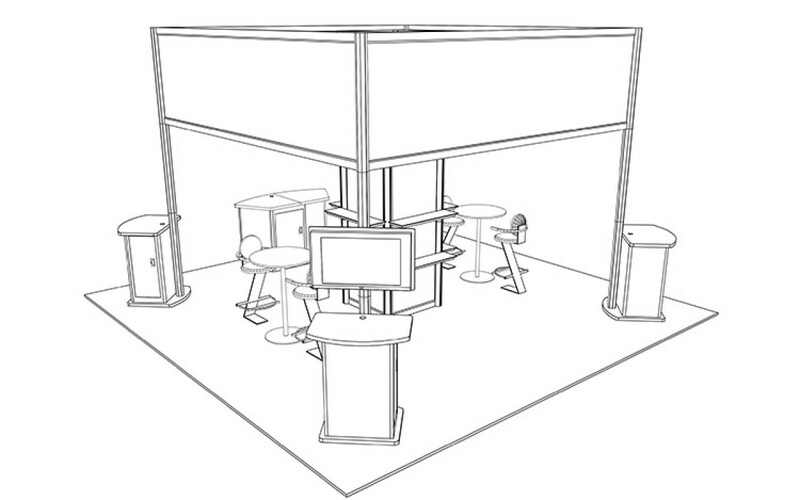 With customized branding and multiple product shelves, it looks like a new booth. 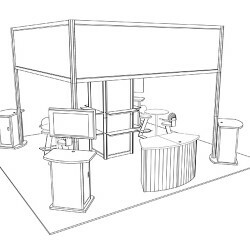 The counters worked as product demo stations, and provided storage space, and the overhead sign makes it easy for attendees to find the booth.